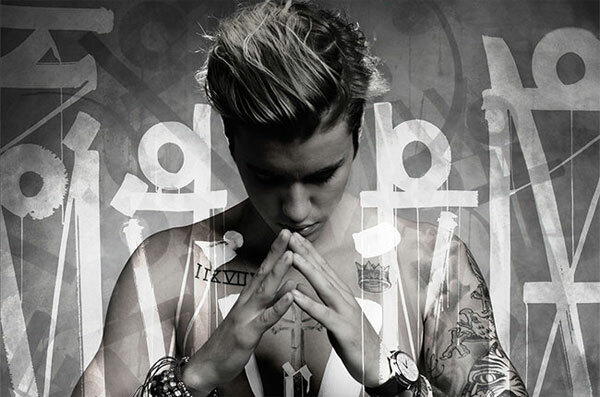 Justin Bieber certainly surprised his many critics when he made his 'comeback' at the end of 2015, releasing some great songs. 'Purpose' is his fourth studio album after My World 2.0 (released in 2010), Under the Mistletoe (released in 2011) and Believe (released in 2012). The Purpose album was met with critical acclaim, and fans have been purchasing the CD and downloading the tracks in their millions ever since its launch, making it debut at the top of the US Billboard 200 charts. In fact, it was soon number one in countries all around the world, for weeks and weeks. Justin Bieber has said that much of the album's success is down to the people that he teamed up with, including record producer Skrillex and songwriter Ed Sheeran (Ed Shez), who co-wrote the number one single 'Love Yourself'. Many of the tracks seem to be quite humble and partially focus on apologising to his fans for his bad behaviour in recent years. Even though Purpose was not released until 13th November 2015, by the end of the year it had become the third-biggest selling album of the year in the USA. The tracks are described as being an eclectic mixture of R&B, dance pop and electronic dance music (EDM). I don't know about you, but I'm looking forward to hearing about his enormous Purpose World Tour in 2016, he's bound to be making headlines all through the year. Let's hope that it all goes well for him.